VT Digger reports…….There was a time, not so long ago, when Vermont Gov. 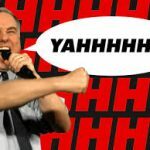 Howard Dean came down firmly on the side of the anti-marijuana crusaders. In those days, says Dean, he felt proponents of medical marijuana were just using their support for that issue as a smokescreen for a general push toward full legalization. Dean, who served five two-year terms from 1991 to 2003 as Vermont governor, was against all of it. That was the 1990s, when little was known about using the compound CBD to treat seizures. Back then, there were few policymakers who knew the difference between THC (the chemical that gets marijuana users high) and the non-psychogenic CBD, which is now added to foods, drinks, lotions and other items. Back then, presidential candidates were still being asked if they had ever smoked pot (they usually had). Now Dean, like so many people in Vermont, has switched sides on the once-fiery issue. In December, he joined the advisory board of Tilray, a publicly traded Canadian cannabis company that says it provide cannabis flower and extract products to patients, physicians, and pharmacies on five continents. A catalyst for the change, Dean said, was conversations he had with his daughter, who is a public defender in the Bronx. She told him about her young clients who were jailed, their lives derailed, for possessing marijuana. And of course we all remember this – we wonder if he gets this excited at the Tilray boardtable !